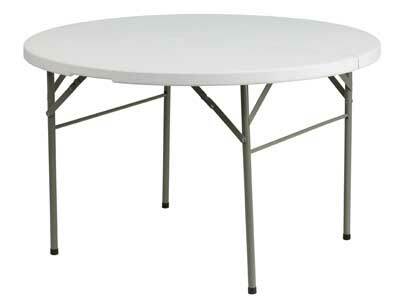 Plastic Folding Round Tables for Sale Durban, Folding Round Tables are beneficial for all types of settings. These amazing tables are designed with a mechanism that allows it to fold, which makes storage and transportation easy. Our Plastic folding Rount tables are manufactured with the best quality materials which can withstand the everyday use in the world of catering and events. 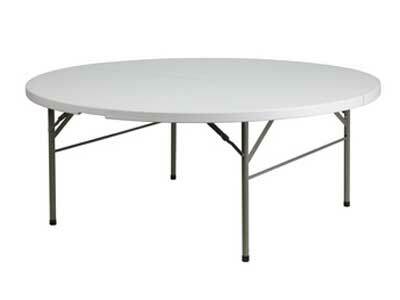 Plastic Foldable Round Tables can assist in creating the perfect setting at weddings, birthdays, large corporate events, exhibitions and much more.